This weekend was the highly touted (and covered) Anthem VIP weekend for people who pre-ordered, their buddies, and anyone lucky enough to win a giveaway. Things did not go as planned at first. Well documented server outages, shortages and issues stopped most people from entering the game on time. I got in about an hour or two after launch (I went and played other things) and put in 13 hours over the weekend maxing out my level and the items I could get for my Javelins (currently locked at Rare, level 19 items and pilot level 15). I wanted to stop playing, but couldn’t. And that should tell you something. Especially considering the content was around 2 hours of quests (estimate) and then a repeatable “dungeon” (called “Strongholds” in Anthem) which I did over. And Over. And then upped the difficulty and did it over. And over. The backdrop is incredible. Immersive. It’s fun. The things you see, do and play in the game is very fun. The shooting feels good, the flying is great, and the kill / loot / equip / kill cycle works well. I think your perspective going in really shapes your opinion coming out. I have read a LOT of angry people being angry about the game. People who really want EA to fail, and Bioware to fail (because how dare they not include f*ck options for NPCs!) and the whole game to just flop. I have also read undue praise and claims that the game is the second coming of Destiny (or what it should have been). Then there are measured and fair opinions. Not as many of those I have read. .. to THIS. Customization is some of the best concepts I have seen in gaming. Me? Well, mine isn’t outright fan-boyish but definitely excited to see what they do. I do have concerns, of course, and I’m worried they may be more justified than I hope. The big one being that the game doesn’t quite feel done. It’s just not.. intuitive. Best example of that I can give is that after you finish a play event, you go to a screen that gives loot, faction rep, badges, and XP. The loot was VERY generous and varied (which makes it cool) but there is no way to filter or sort the loot. Bare minimum I should be able to sort by Rarity, Level, Type, Javelin Type (etc.). Nope, just a pile of guns, gear, rarities mish-mashed all in one big bucket. That is something very simple to implement but also feels like a glaring, gigantic oversight. Who doesn’t want their loot sorted in a loot based game that gives gaggles of loot? That’s the type of polish that is very much missing. Three weeks from launch. I doubt many little nice things like that will get into the final game since crunch time will be optimization and bug hunting. I played the Ranger first (like everyone) and secondly the Colossus – which I originally thought would be my main but the Ranger just moves so elegantly and quickly that going to the slower, hunkering Colossus felt slow. Sure, there are amazing things you can do as a Colossus but in a game built on movement limiting it feels self-defeating. We will see. Next weekend I get to play the other two Javelins (you could only unlock one additional this weekend, all 3 next weekend) so plenty to mess around and see. My final thought on this is that due to the bad rap EA gets, and knowing the game isn’t perfect (this close to launch) I am actually OUTRAGED (sorry, inside joke) CONFUSED why they did a VIP demo to begin with. They did it with Mass Effect: Andromeda which was a really great game with some issues – and all the early peek did was allow the really negative people to shine a light on the deficiencies and that sunk a major IP. Free weekends are just inviting people who hate you to publicize everything you are doing wrong – justified or not. Some from people who hate EA outright and refuse to play any of their games anyway. Gives them a platform to sink sales. I saw / read a lot of that after the Anthem VIP demo weekend, and expect it just to be worse after next weekend. Bug hunting. All the devs are doing it. 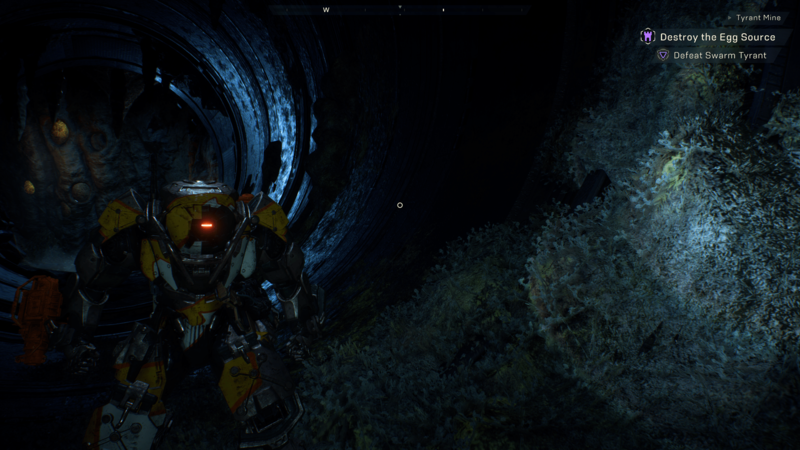 The middle group, those who want a solid sci-fi looter/shooter experience with a better story will find that in Anthem. But it won’t be perfect at launch, I already know that. Most live games aren’t. 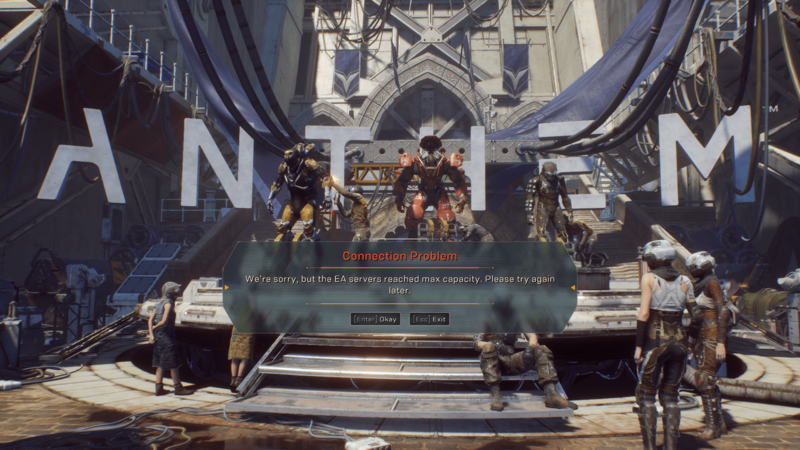 Not letting people see/play it first would actually result in better sales I bet, and a better future for Anthem. The state of the game now will not sell the 10M or so rumoured copies EA wants sold on this (their stock badly needs a huge hit) but I believe that it will be a solid game and foundation for years to come – if people give it the time and patience to become what it needs to. ← Magic The Gathering Arena Deck : In ACTION! Yeah I too am concerned about “influencers” killing Anthem before it launches. I mean they (EA/Bioware) seem really invested in it, but then they were really invested in Mass Effect, too. I think if I’ve learned anything from Destiny and The Division it’s that if the basic gameplay is fun, the rest will come over time as the developers polish and improve things post-launch. I guess that’s an argument for waiting a few months after launch to purchase, but I had too much fun to wait that long. 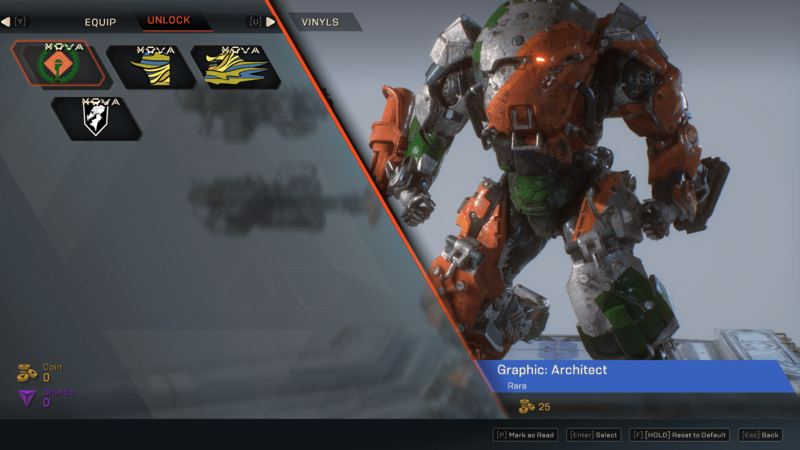 I’m in on Day 1 for Anthem! I think mechanically the game is quite sound. The freedom of movement is amazing, and really changes your perspective in other games. There are certainly some numeric tweaks that could help, but the foundation is good. It’s really impressive that each javelin feels unique, and after a bit of investment, the build variety is larger than expected. I do find it a bit jarring going from fun/fast group play to molasses in Tarsis, all alone. I know that is going to change by launch, so there’s some hope there. There are plenty of QoL changes that are present in other games that are not present here. But that’s a launch problem right? The end of mission screen is another example. Truthfully, I enjoy spending time in the Forge building new loadouts. They didn’t unlock all 4 availability until near the end (to make up for some of the issues) and I was out of town at a kids hockey game for the end of the weekend. But, they did share all 4 available next weekend, so I’ll get my chance! did you settle in on a favorite? Makes sense, I didn’t hit 15 until Sunday anyhow. I really enjoyed the Storm. It can get hard to see what’s going on with the spell effects. It’s nice to not have to focus entirely on gun play. It takes a while to unlock all the ability options, but when you get to try it out… really changes the way you approach combat.